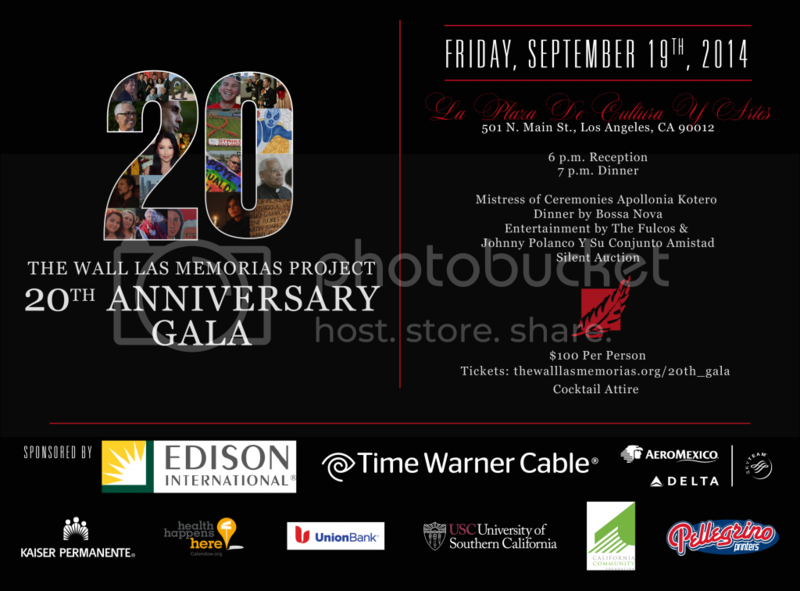 In celebration of twenty years of service to the community, The Wall-Las Memorias will be hosting its 20th Anniversary Gala on Friday, September 19th, 2014 at La Plaza de Cultura y Artes in Downtown Los Angeles. The event will feature an evening of exquisite food, live musical entertainment from legendary and local musicians, art installations, silent auction, special guests, and a presentation of the history and future of the organization. Cocktail/business attire recommended. For the full list of Silent Auction Items, click here. Funds raised through the 20th Anniversary Gala will help fund The Wall-Las Memorias Project and future efforts to provide health and wellness programs and services to the local Latino community of Los Angeles.